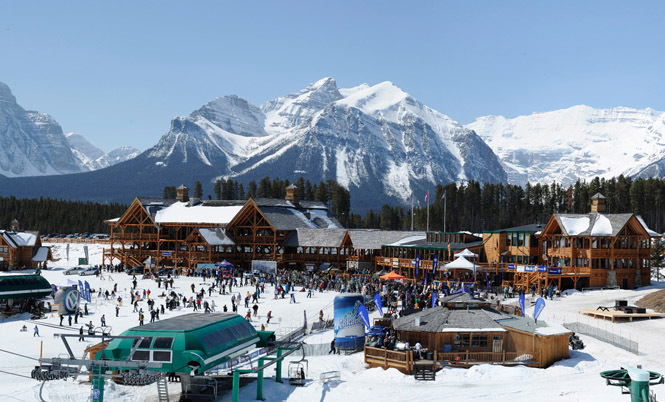 If you’re unsure where your next ski destination should be this winter, then you’ll be glad to see that we’ve compiled a list of the 16 best ski resorts in North America. Some of them are more suited for beginners, while others are almost completely occupied by expert skiers, but no matter how good you are, there is surely a perfect ski resort for you! Lake Louise – Lake Louise represents one of the three major ski resorts located in the Naff National Park, near the village of Lake Louise, Alberta. The ski resort is situated at about 3,000 meters above sea level. If you’d like to do see more of the national park as well, you can go on their famous sightseeing gondola, which is open all year round and offers incredible views of the natural springs, glaciers, and wildlife.